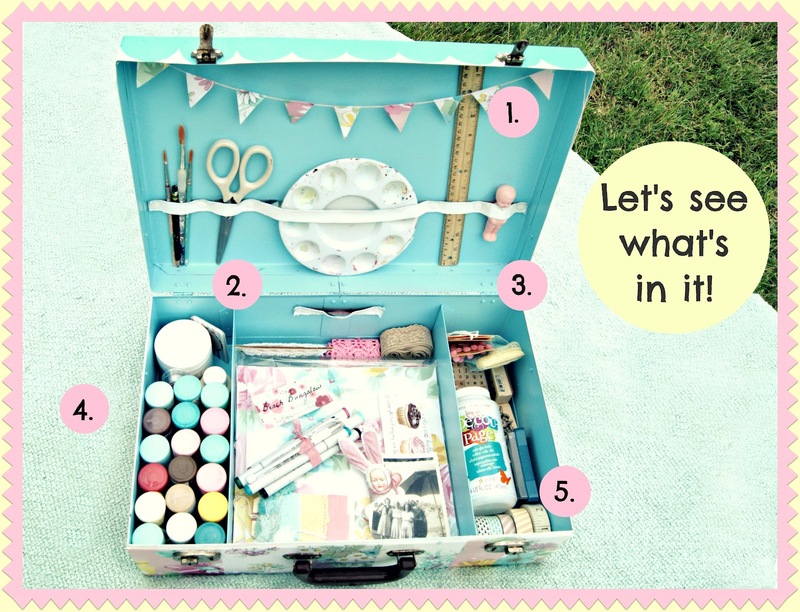 What's in my Traveling Art Kit? Hey kids! I've been getting more than a few messages and emails asking what I have in my Summertime Traveling Art Kit! :) Well why don't we have a look? My favorite and most used brushes. Not too many...just the right ones! Keep it simple! Vintage trims and lace. Etsy always has a fantastic selection! Copic Markers! 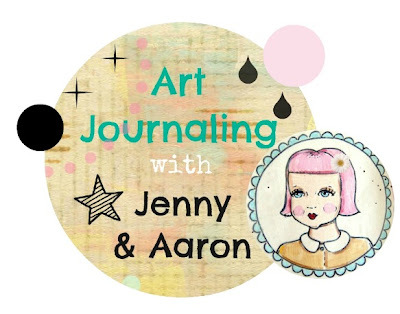 A favorite of ours for all sorts of art journaling techniques and doodling! Vintage photos, Everyday is a Holiday sticker sheets and small color copies of our own original art. 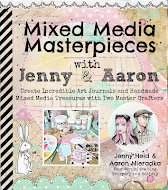 Perfect for adding to art journal pages or gift tags and cards. Favorite scrapboooking papers (including our Beach Bungalow collection!) and vintage wallpaper. More vintage and new trims. Favorite and versatile rubber stamps, and a few stamp pads. Mini alphabets are always great to have on hand. Assorted craft paints. I love to use acrylics from DecoArt and Martha Stewart in my everyday crafting and art journaling. Decoupage from DecoArt (same as Mod Podge) as a glue and sealer. Washi tape! Oh how I adore Washi tape! Aaron and I are splitting our day between work art and personal/home art. I decided to open up my Traveling Art Kit right here at my coffee table and play in my art journal while waiting on orders to dry. It's actually really fun to work with only a small selection of favorite supplies. Sometimes having too many supplies at your disposal works as a roadblock. It opens you up to unnecessary hemming and hawing. I feel like I move a lot faster and more deliberate when I have exactly what I need...no more, no less. I hope you guys liked the little show and tell! 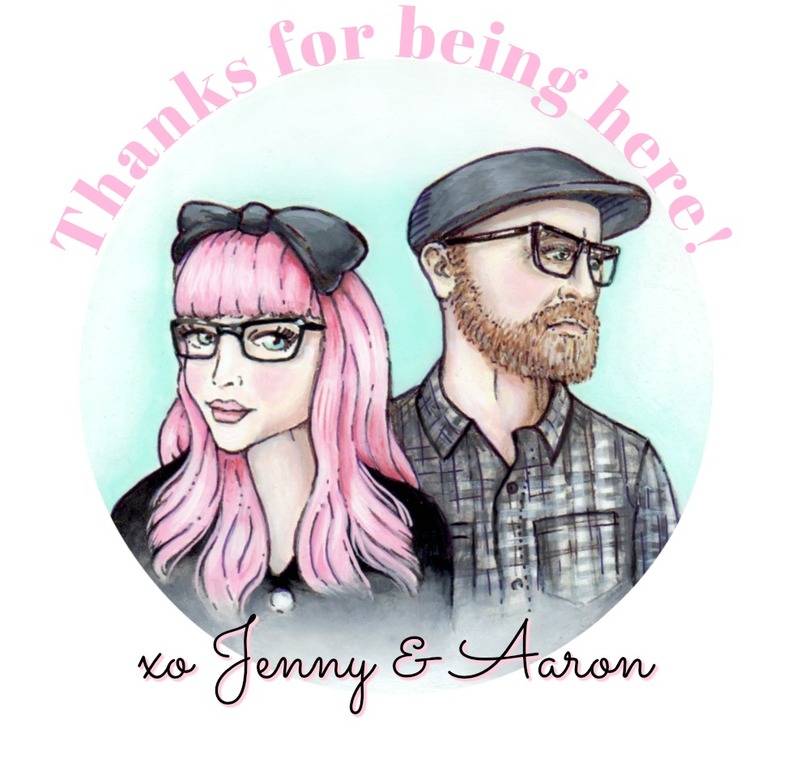 I really can't thank you enough for all of the awesome feedback on our Traveling Art Kit! 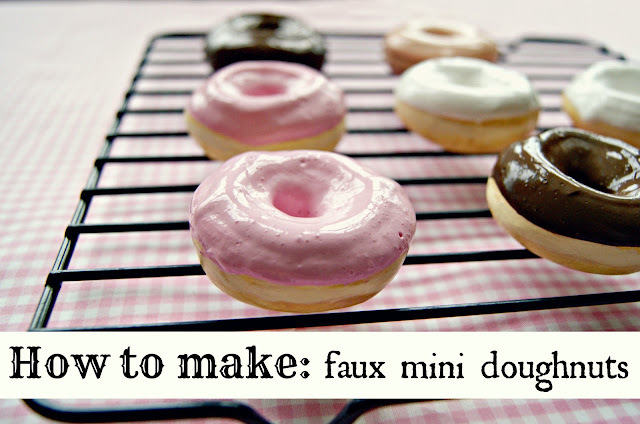 I've been seeing it pop up on pinterest as well as on some pretty awesome blogs! 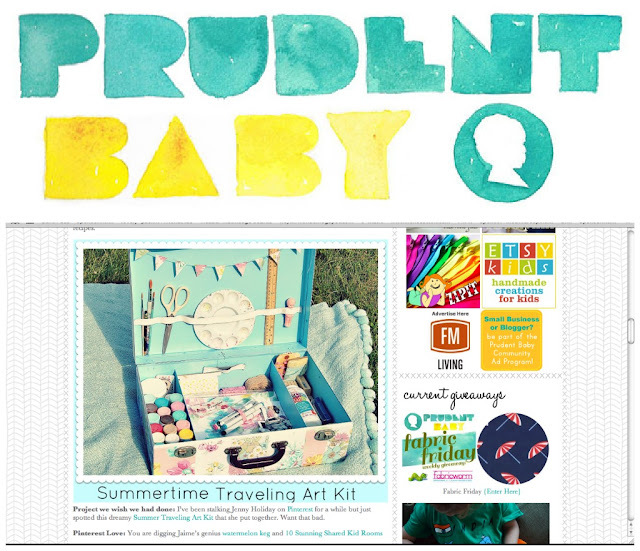 Such as the fab Prudent Baby! Thanks so much everyone!! That is so pretty and I love your little scapbook. I wish I had your talent! Thank you so so much for the paper love!!! Hope you guys are enjoying your summer so far!! @Helen Oh my goodness! Big big hugs to you! Thank you so so much for your sweet words! They mean so much to me! :) Thank you!! I assume you do not blog. Feel free to comment on pinterest so I can follow you back! :) Thanks for reaching out!!! So happy to be connected. Love this. Where did you get the suitcase? Gosh is there any part of your life that isn't caked in beauty? Seriously. I LOVE your blog and all of your artwork. You are truly talented. I was wondering... What your favorite Copic Marker colors are? I would love to know. Thanks! I just found your site today through Pinterest. I love your travel kit idea....wish I had found it a couple of weeks ago. I am away right now but will be home in a couple of weeks. I can't wait to get a kit ready for the rest of the summer.